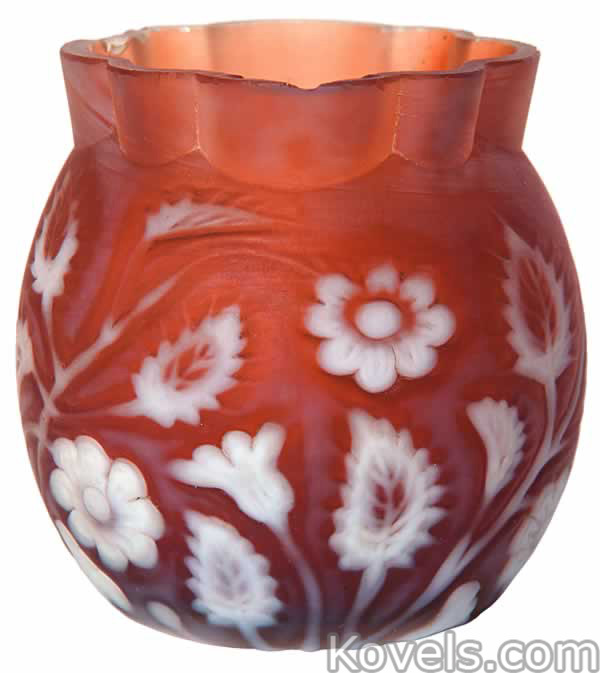 Findlay onyx and Floradine are two similar types of glass made by Dalzell, Gilmore and Leighton Co. of Findlay, Ohio, about 1889. 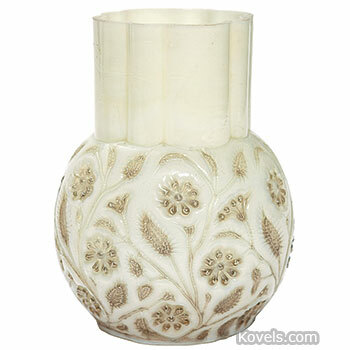 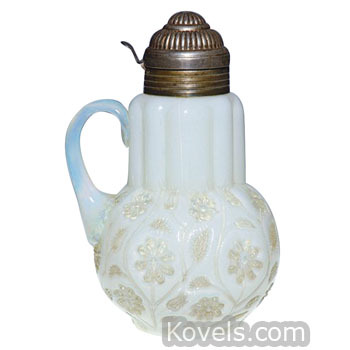 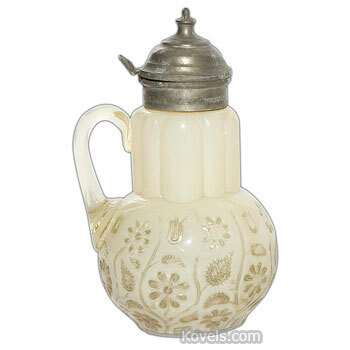 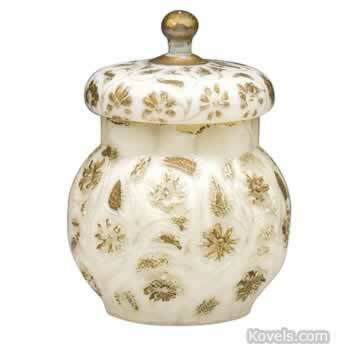 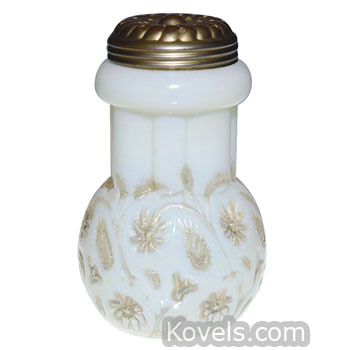 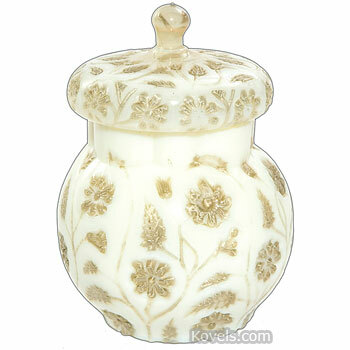 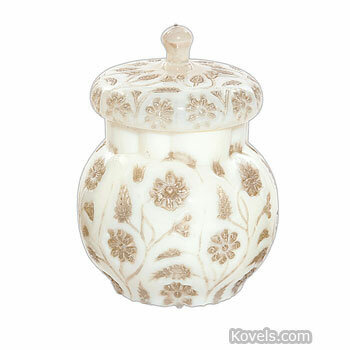 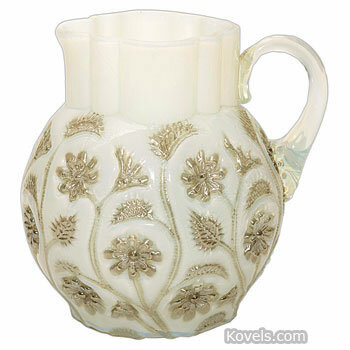 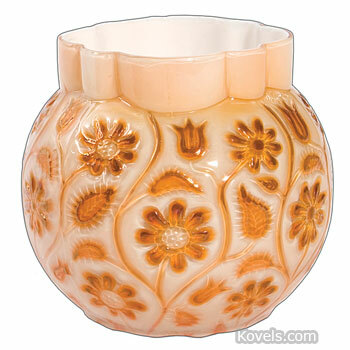 Onyx is a patented yellowish white opaque glass with raised silver daisy decorations. 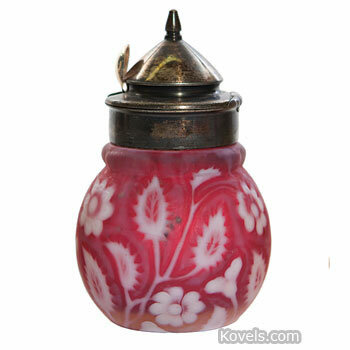 A few rare pieces were made of rose, amber, orange, or purple glass. 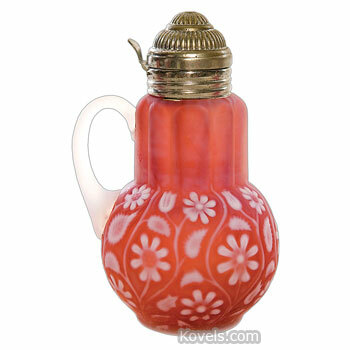 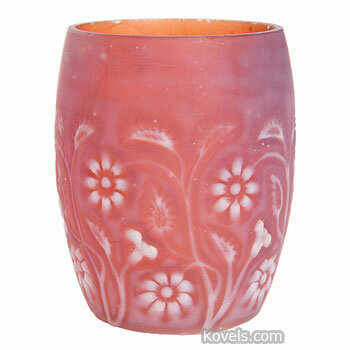 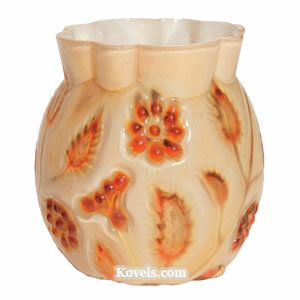 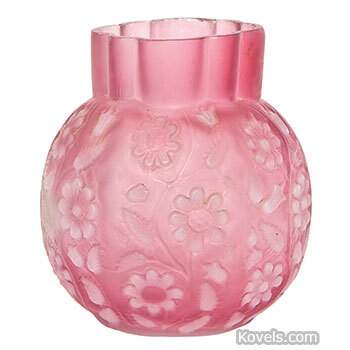 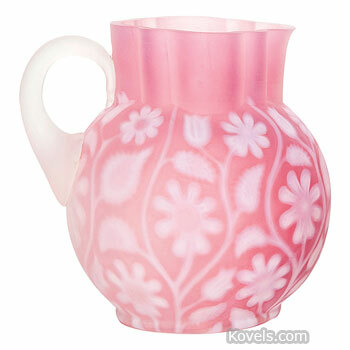 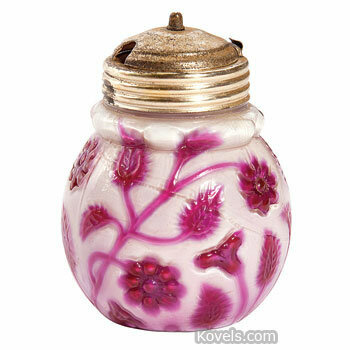 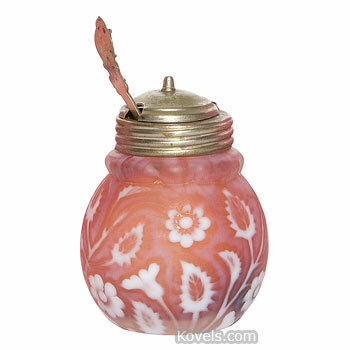 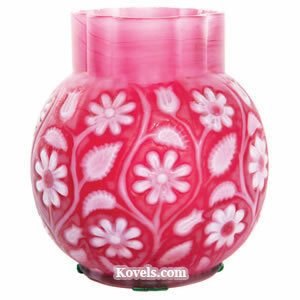 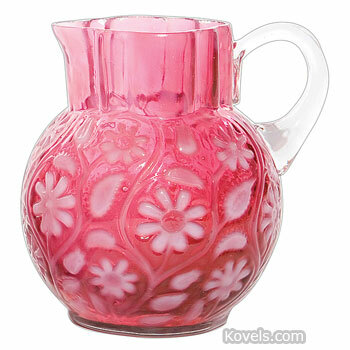 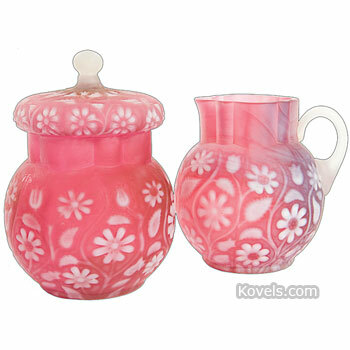 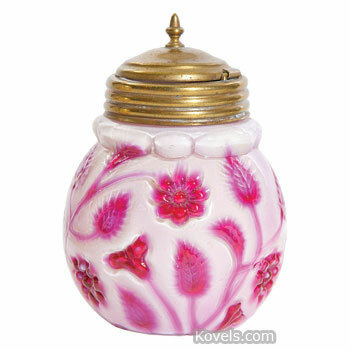 Floradine is made of cranberry-colored glass with an opalescent white raised floral pattern and a satin finish. 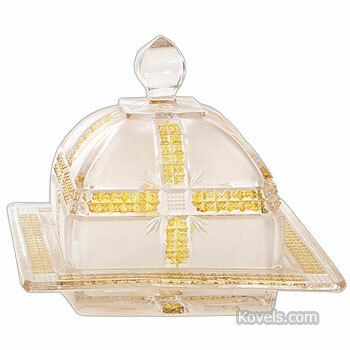 The same molds were used for both types of glass. 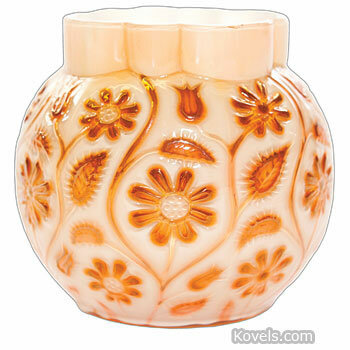 The pattern was made with a metallic color that sometimes caused the pieces to crack when heated by the sun or blow up if kept in a sunny window.